After six months of living with mold, amid concerns about their children’s ongoing medical issues that began after they moved into their house, Traci Lenz and her Air Force husband moved off base in January. “My home was not safe and has caused my family to suffer from ongoing illnesses, unnecessary expenses, and we were forced to move off base in order to protect our children,” said Lenz, who lived in Harbor Bay at MacDill Air Force Base, Florida. The Lenz family and other military families have felt compelled to move out of their homes in government or privatized housing because of serious health issues and concerns that they attribute to the mold. In many cases, that’s also an expensive financial burden, in addition to the health issues they believe have resulted from the mold. Lenz calculates that by the time everything is factored in, including moving costs and costs to replace mold-contaminated belongings, rental deposits, mold testing and medical expenses that weren’t covered by insurance, they will have paid more than $33,000. Who pays for mold damage to personal property in privatized housing? In this case — and a number of others — it appears it’s the military family. 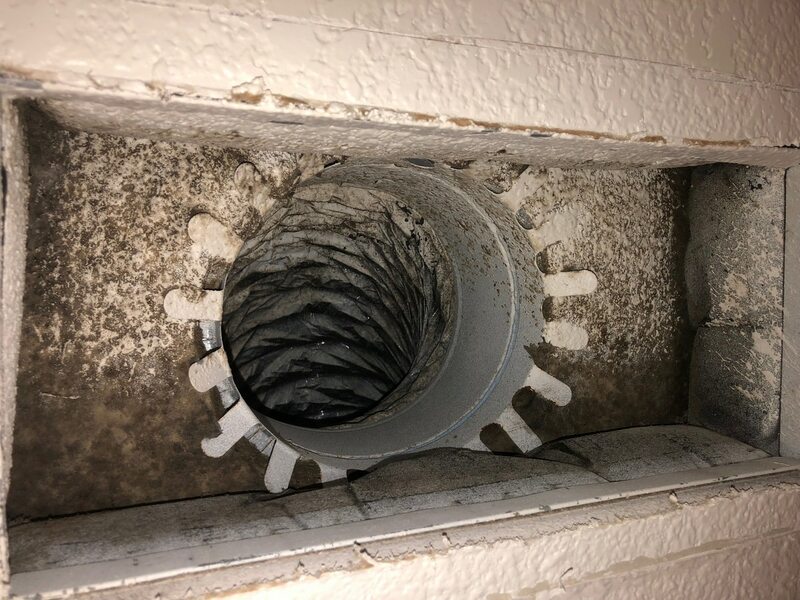 The Lenz family hasn’t been reimbursed by Harbor Bay, the privatized housing company, for any of the costs, although Harbor Bay paid for their stay in temporary lodging while technicians replaced one duct and installed new vent covers. But when the family returned, they found mold, and moved out to a hotel at their own expense. Lenz said she and her husband, an Air Force master sergeant, asked Harbor Bay to pay for some of their expenses, including their costs to move off base, but the company declined. In a number of cases, like the Lenz family’s situation, the landlord doesn’t agree that there is a mold problem, and contends it’s safe to live there, so expenses aren’t reimbursed. And because the mold was not the result of a major water intrusion, their USAA renter’s insurance policy didn’t cover the loss of their belongings, Lenz said. It appears that generally, renter’s insurance doesn’t pay for damage caused to belongings from mold, unless the mold results from a covered event, such as a burst pipe or a storm, for example. “There have been families who have requested the insurance [reimbursement] with no luck,” said Crystal Cornwall, a Marine wife who is founder of the nonprofit Safe Military Housing Initiative, formed in response to the many concerns she has heard from military families. For example, there is an exclusion in the Armed Forces Insurance Exchange Renters Insurance policy for “dampness of atmosphere or extremes of temperature; rust; mold; wet or dry rot,” said Mike Nixon, senior vice president of Armed Forces Insurance. “If mold damages the property with no other covered event occurring, the damage would be excluded” from being covered, he said. “There would be coverage if there was a covered loss like a pipe burst or storm event that damaged the home or apartment and allowed water in to damage the personal property items, and mold also developed,” he said. Nixon said he hasn’t heard of the issue of mold coming up as a stand-alone issue. “If the question comes up, it is usually in reference to mold after flooding or a pipe-burst-type event,” he said. USAA’s position is similar. “Most, but not all states provide some limited coverage for mold that results from a loss that is covered under the policy,” said Tiffany Edmonds, a spokeswoman for USAA. “This applies to both homeowner’s and renter’s policies. We always encourage everyone to check with their insurance professional on specific aspects of their policies,” she said. Service members should seek reimbursement, with help from their government housing office, according to DoD officials. Her answer was in response to a question about whether a service member can file for reimbursement when household goods are damaged because of issues with their government housing or their privatized housing — such as mold, water leakage or mice infestation. In the case of the Lenz family, Harbor Bay officials contended there was no mold-related problem, based on inspections by a third-party licensed mold inspector. Lenz and her husband disagreed, and paid for an additional inspection which found high levels of mold, indicating occupancy of the house was “ill-advised” until further remediation of the mold, according to the report provided by Lenz. Ron Hansen, president of Michael’s Management Services, the property manager of Harbor Bay, said he can’t discuss the Lenz family situation because of privacy issues. But in general, he said, their policy is that if damage has happened to a tenant’s property because of the company — such as a maintenance person damaging an item — the company will pay for the item if they can’t repair it or clean it. “The question is, is it damaged by mold? And can it be cleaned or does it need to be replaced?” he said. In general, if a resident sees what they think is mold, the company sends out a maintenance technician who specializes in mold, and if more remediation is needed, they call in a company that specializes in dealing with it. If a resident’s property is damaged by mold, the company can bring in professional cleaners to clean it. “If the cleaners couldn’t clean the property, or degraded it in the cleaning process, we’d buy it,” he said. “No one should be out of pocket for things that have to be replaced because of mold or any kind of damage,” Hansen said. There are many property management companies managing privatized military housing, and Crystal Cornwall said she has seen that it’s far more common for families to pay out of pocket. “It is not common for the [privatized housing company] or the government to replace, clean, or otherwise, when it comes to the damaged items families must dispose of when contaminated by mold,” she said. “I only know of a handful of families who have had their items professionally cleaned, partially replaced, or even disposed of by the [privatized housing company] or the government,” Cornwall said. The military relief societies consider requests on a case-by-case basis. Army Emergency Relief has helped at least one soldier whose housing unit at Fort Lee, Virginia, had a mold problem, said retired Command Sgt. Maj. Charles Durr, chief of assistance at that relief society’s headquarters. The staff sergeant reported that he didn’t know what caused the mold to build up while he and his family were on vacation, because he was careful to ensure the house was well ventilated and air vents were open. Fort Lee privatized housing officials inspected the property and determined that the mold was no fault of theirs, and so they wouldn’t replace his damaged furniture. Nor did his USAA policy cover the mold. Army Emergency Relief provided the soldier an interest-free loan for $2,072 to replace the damaged furniture, to be paid over 25 months.